Thanks guys. It was a fun build and I am satisfied w/the finished product. bummer ... how could I miss this great build blog?? 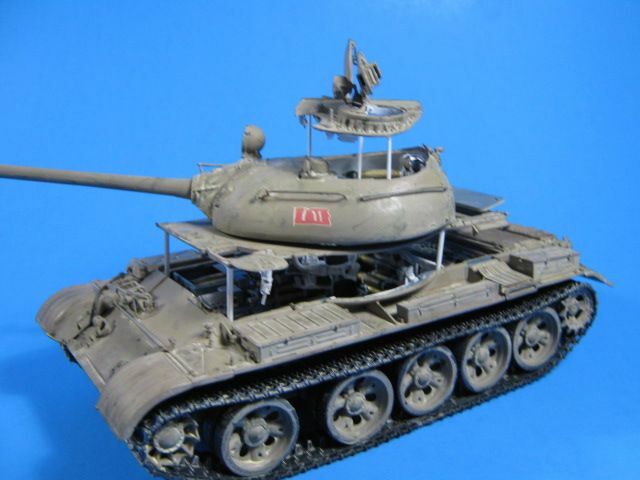 Clean build, great weathering and a really nice presentation of the finished model. Just caught up with this, really great work Gino. Bill's First Law of Modelling: Dropped tiny parts will disappear into an alternate universe, and will re-appear many weeks later when you are searching for a different dropped tiny part. Corollary: You no longer need the part. Thanks, glad you like it. For the marking options, look on page 1 of this BLOG to see them all. Great looking build! Outstanding job on the kit. You said it came in 12 possible versions? What were some of your other options? Thanks KoSprueOne. I am glad it could be inspirational. Good luck on your build. Very cool finished display. This makes me want to try and build one like this. Thanks Jeff. I actually need to finish up repairs to the collection from my move over a year ago. I still haven't finished them and setting up the model room fully. After that, who knows. 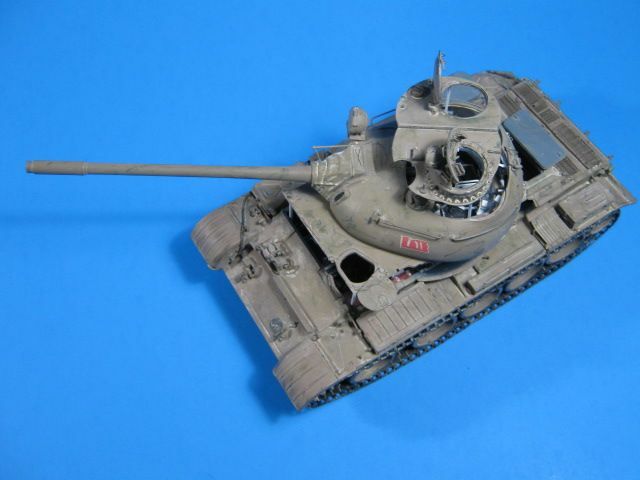 Maybe the M60 AVLB. Fantastic finish to it Gino. I bet that will stay in memory for awhile. So what is next on the list? A interesting way to display the interior. Thanks guys. I'm glad you like it and it was an inspiration. Good luck on all of yours. That looks very impressive (not to mention your perseverance....) - Good job! A spectacular finish to a wonderful build. 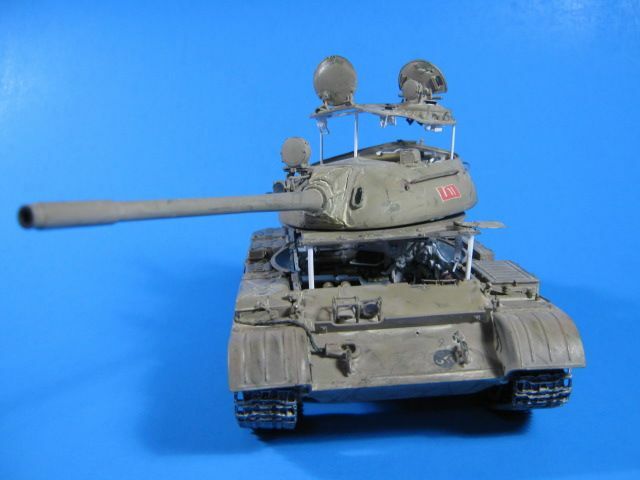 As a matter of fact, your posts convinced me to order the T-54-1 w/interior. Man! Talk about a lot of parts! 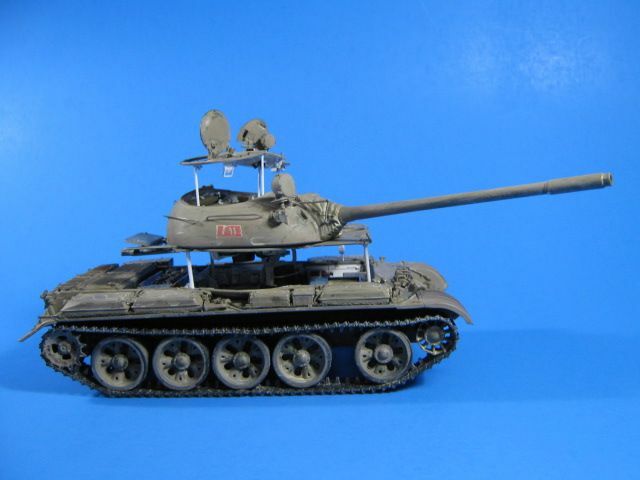 I just got the Tiran 4 Late as an early Christmas present for myself. Did any one come up with pictures or what to do with the empty space to the left of the drivers seat? Thanks Ken. Take it slow and I'm sure yours will come out looking great as well. Good luck. 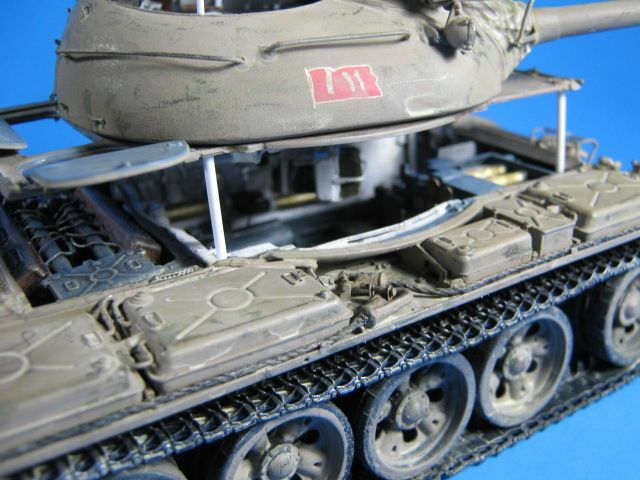 I just started the T-54-2 w/interior for the MBT campaign. Scary amount of plastic in the Miniart kits. This should be a fun build. Finito! Stick a fork in it! It is finished!! Finally. I painted it with Krylon Camo Colors Khaki from a spray can. I think it replicates the non-standard Iraqi sand-ish color well. Next I did some chipping with a dark green color. 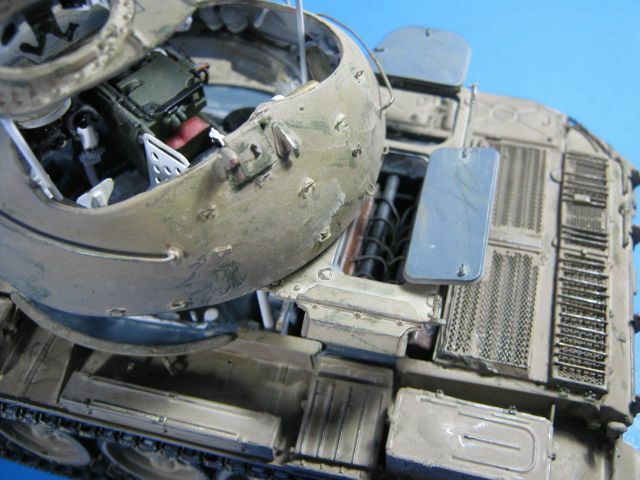 Then some drybrushing with Model Master Armor Sand. 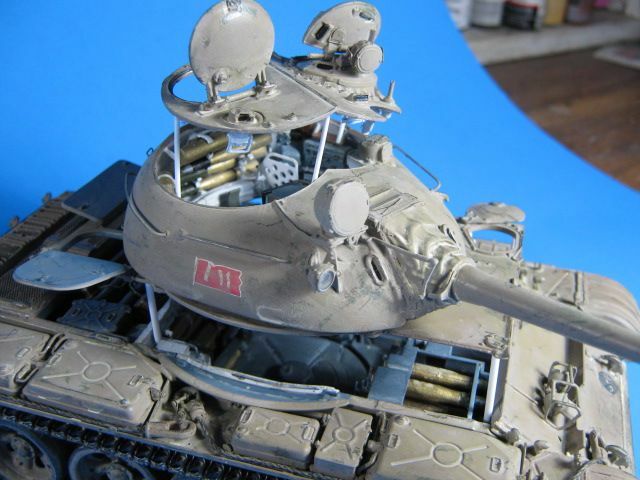 Next, I weathered it with a few different shades of acrylic sand. I finished it with some bare metal using a #2 pencil to highlight the heaviest worn areas. 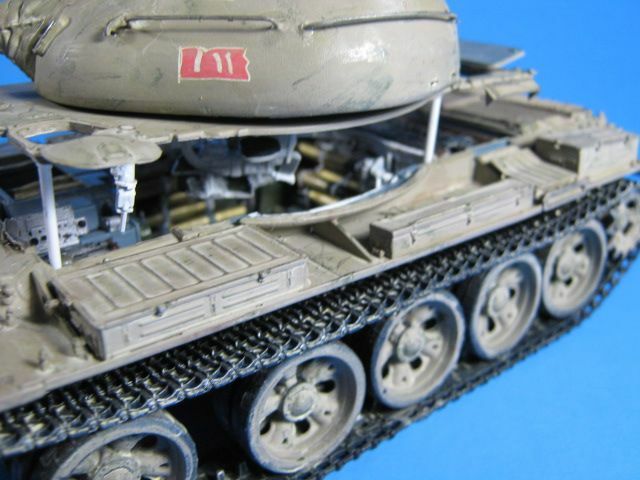 I think it replicates a well worn Iraqi vehicle well. 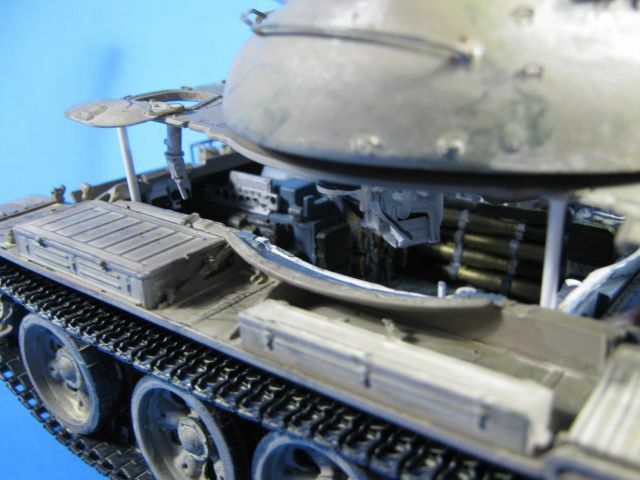 I accomplished the exploded view to show off the interior with a couple different sizes of styrene rod to lift the top hull and turret roof panels. I like it. Let me know what you think. It has been a long build, but it was fun. There were a few snags along the way, but not too bad. This is a very good kit. 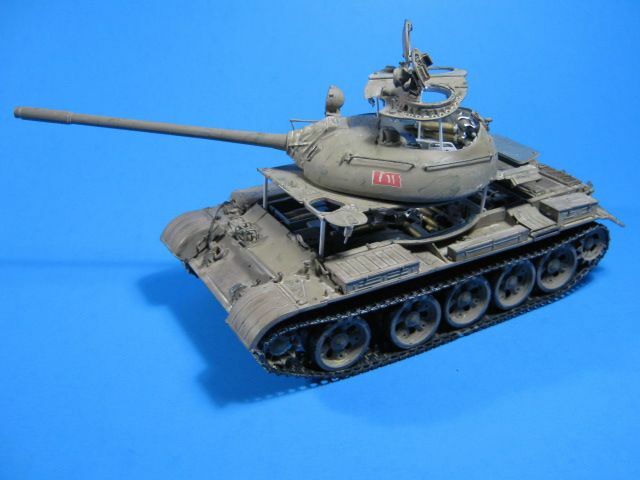 If you want an extremely detailed model of a T-55, this is the one for you. I highly recommend it. I haven't really kept track. A lot is all I can come up with. I have been working on it on and off since February. Gino, how many hours would you guess you have into this build thus far? No, there was no one point that was too high. 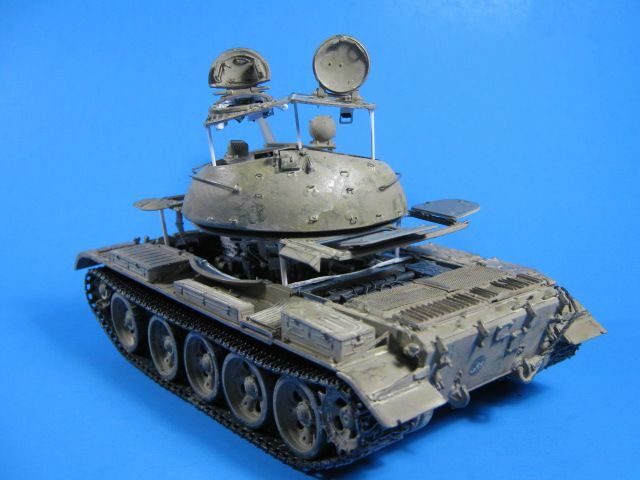 The whole turret shell was high compared to the base. It has to be something on the inside though. The two halves fit fine before I added the interior parts. Interesting build discovery. Did it sort of wobble when mated? Like a piece or part was conflicting with the mating parts? Could just be the design. 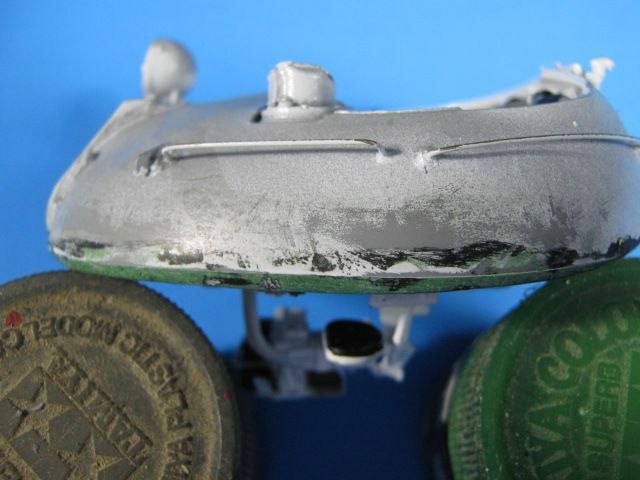 Here is a pic of the turret where I had to use some putty. You will see about 1mm of putty at the base, pretty much all the way around. 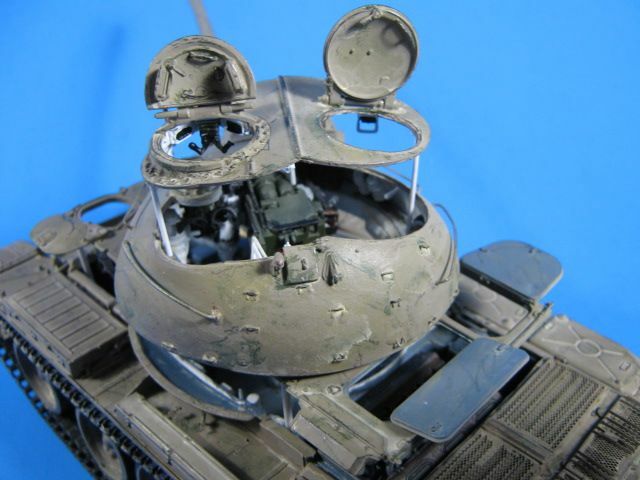 I am not sure why, but the two halves of the turret would not come completely together as they were supposed to. It may have been that I placed a few interior items incorrectly or too high up, I don't know, but they all seemed to fit properly. I hope to finish it up over the long Veterans' Day weekend. I hope all enjoy and remember to thank a Veteran this weekend. Thanks John. I will see about some pics tonight. I already primed the area to make sure it blended together well. You should still be able to see it though.